I've actually been on a downloading binge as of late, but have not come across anything worth posting. I came across this album a few weeks back, and was pleasantly suprised. 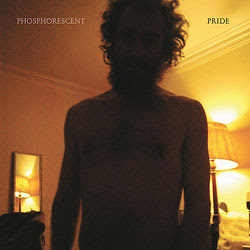 Phosphorescent, a.k.a Matthew Houck, has created a pretty outstanding album. You could probably lump his sound into this "New Weird America" genre that has been rapidly growing over the last few years, but Pride is uniquely different than most recent psychedelic-folk records. Harmony is a key ingredient to Houck's sound, and with repeated listens, "Phosphorescent" becomes an incredibly appropriate moniker for Matthew Houck (for those who don't know what phosphorescence is, look it up). Close your eyes, and put on a pair of headphones, and this album will hook you in immediately. seemed interesting, but link is dead. grrr. I've been looking for this record everywhere. 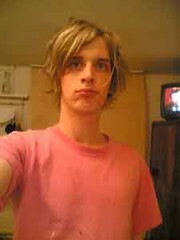 Any chance you could put this back up? yo we need a re-up of this. any possibility of a re-up? The Gories - I Know You Fine, But How You Doin'?